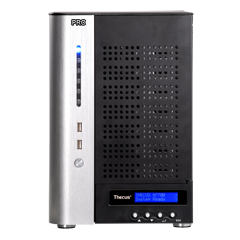 Thecus® Technology is always pushing the boundaries of what NAS devices are capable of. 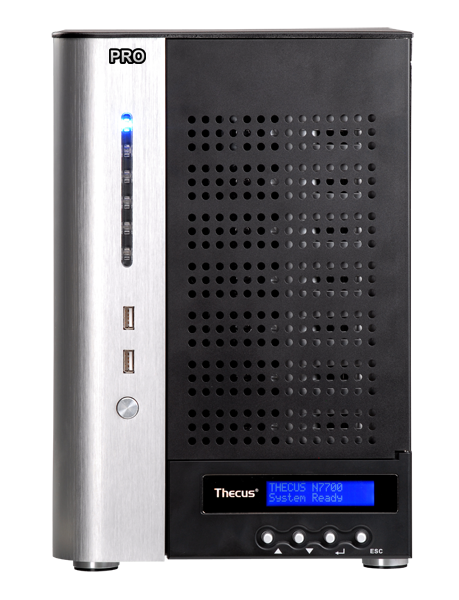 Today, Thecus® is proud to introduce the N7700PRO, the follow up to the award winning N7700. While the original N7700 made its mark by being the world's first seven-bay NAS device, the N7700PRO raises the stakes with breathtaking performance, unmatched reliability, and maximum flexibility. With the N7700PRO, blistering performance is the name of the game. At its core is an Intel® Core 2 Duo CPU and a whopping 4GB of high-speed DDR2 800 memory, making it the most powerful NAS unit available. In fact, with its PCI-e slot, the N7700PRO can reach data transfer speeds of over 300MB/s by adding a PCI-e 10Gb Ethernet adapter! 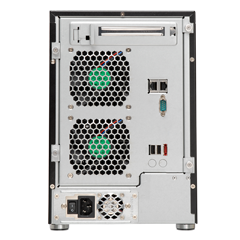 All of this raw power easily manipulates large amounts of data – perfect for the N7700PRO's seven 3.5” SATA drive bays that can accommodate up to 14TB of storage. Need even more storage at your disposal? 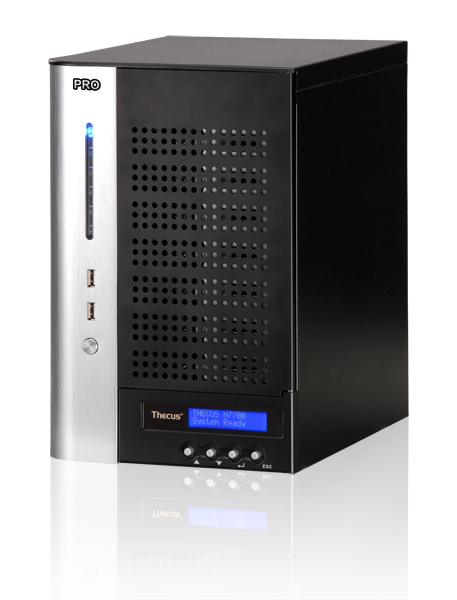 With its stackable feature, you can connect up to five N7700PROs together and easily manage them all via a master unit. 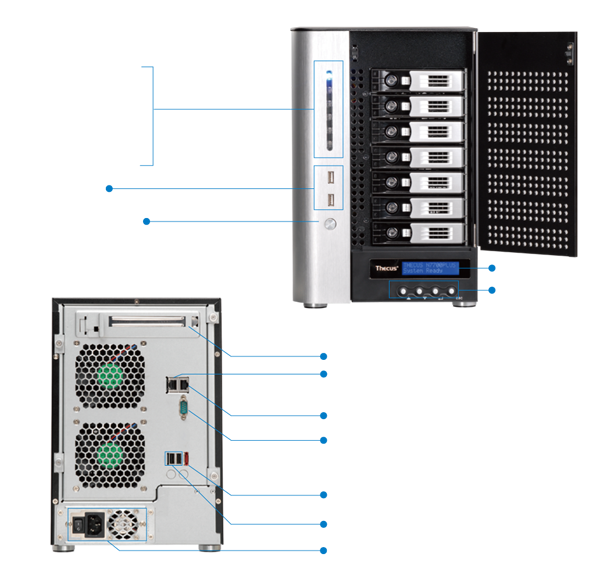 The N7700PRO is even compatible with iSCSI initiators and supports iSCSI thin provisioning for added performance and flexibility. The raw speed is only part of the story. The N7700PRO is an ideal place to safely secure your data. 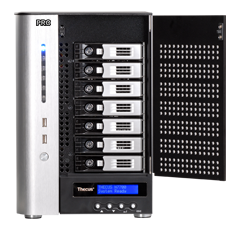 Multiple RAID modes including RAID 0, 1, 5, 6, 10, and JBOD allow you to choose the ideal level of data redundancy to suit your needs. Online RAID expansion and migration are there as well for added convenience. 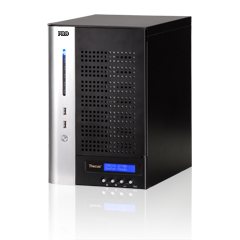 For ultimate reliability, the N7700PRO also comes with a unique Dual DOM™ design, which features a secondary DOM that automatically reprograms the primary DOM should a failure occur. 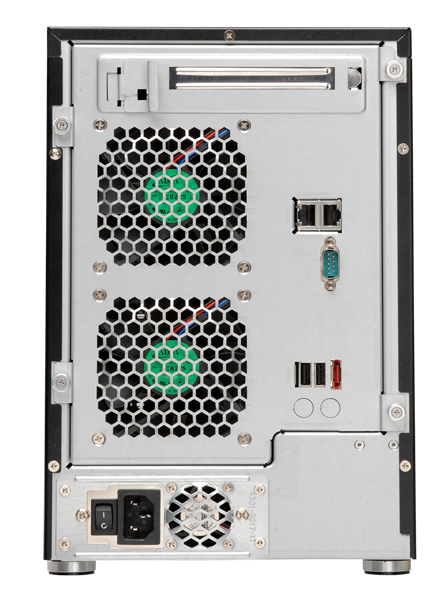 To ensure compatibility with as many networks as possible, the N7700PRO supports multiple file systems (Ext3, XFS and ZFS) and multiple operating systems (Windows, Mac, and Linux). With the popularity of VMware, virtualization technology is now widely used in the IT world. Thecus® is now the member of Technology Alliance Partner (TAP), and N7700PRO is undergoing full VMware certification.